If you spend any time on my back deck watching the birds, it doesn’t take long to see that there is an obvious pecking order. 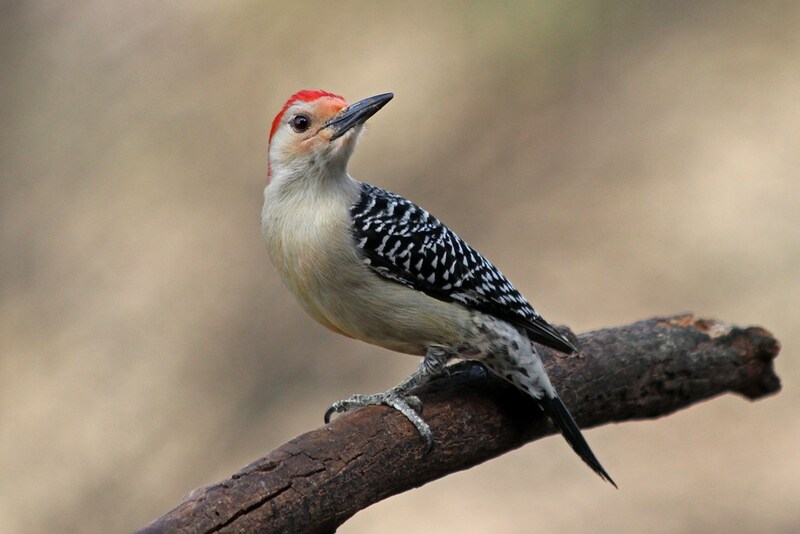 …only to have his meal rudely interrupted by a male Red-bellied Woodpecker – clearly ranking higher in the pecking order. 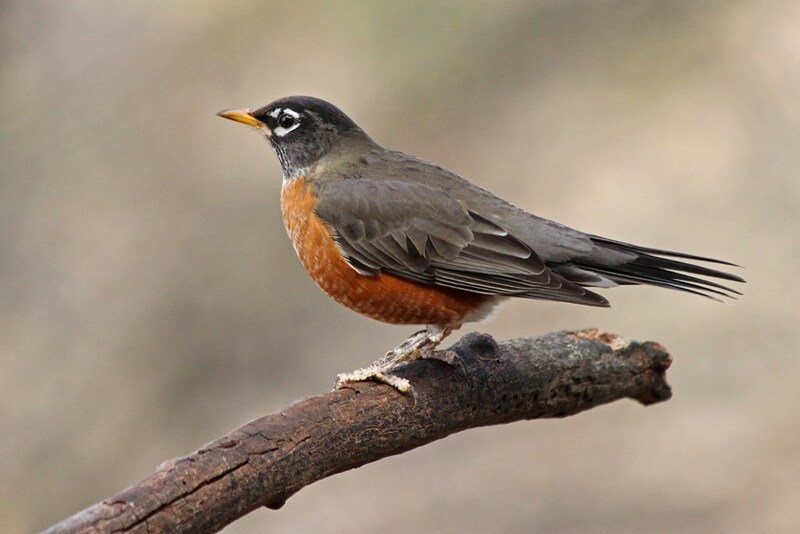 …until this Robin barged in like a bully, fussing and wing flapping until she flew away. 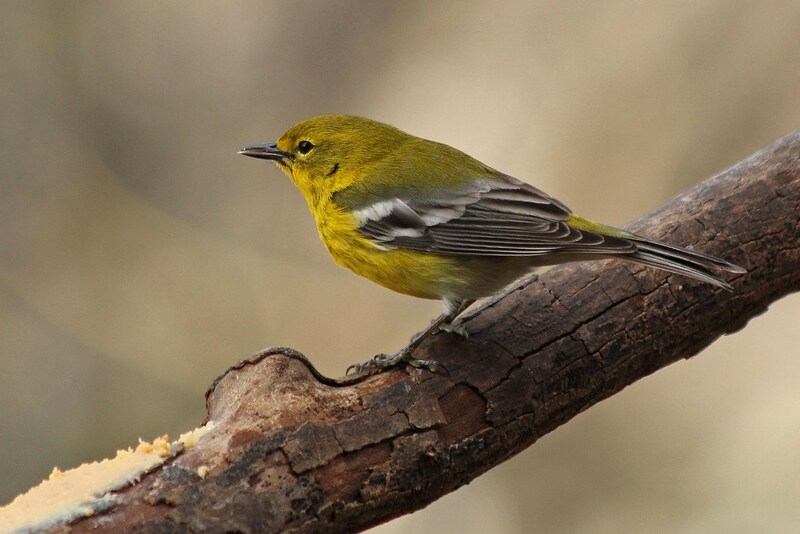 At one point, all of the birds scurried away at once; a clear indication that this fellow, who sits atop of the pecking order, had arrived. 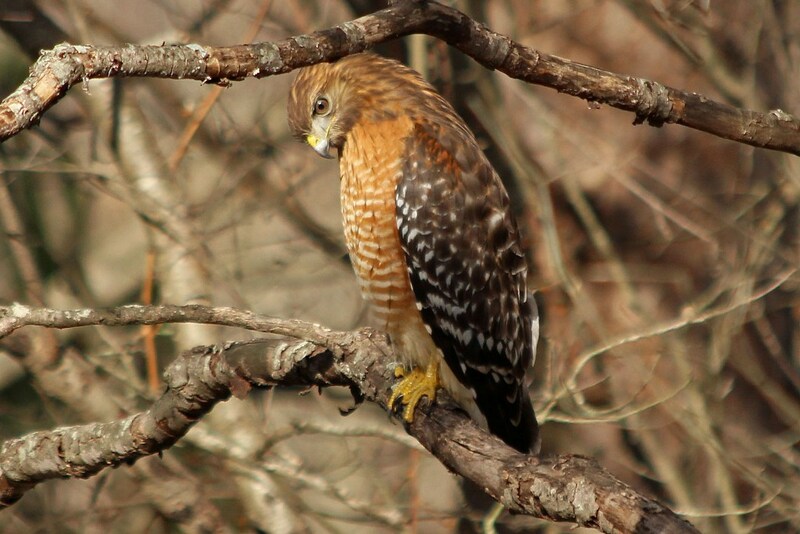 He (A Red-shouldered Hawk, by the way) wedged himself into a maze of branches on the far side of the yard, and scoured the area in hopes of finding some easy prey. Once he finally flew off, it was back to business as usual, with one bird after another battling for perching privileges. 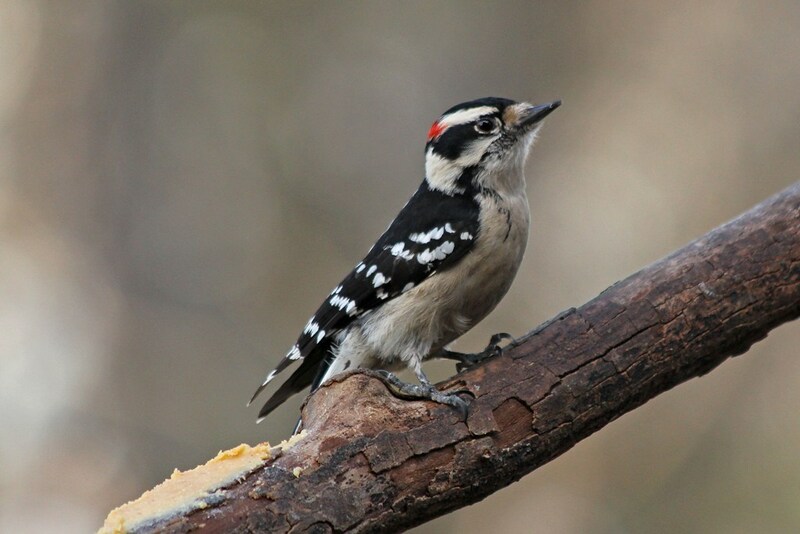 This entry was posted in Backyard Birds and tagged birds, creativity, hawks, hobbies, nature, photography, woodpeckers, writing. Bookmark the permalink. When a hawk shows up, the other birds usually scurry away, but sometimes they freeze like little statues. This hawk was a pretty good size fellow. Yes, they can be territorial. 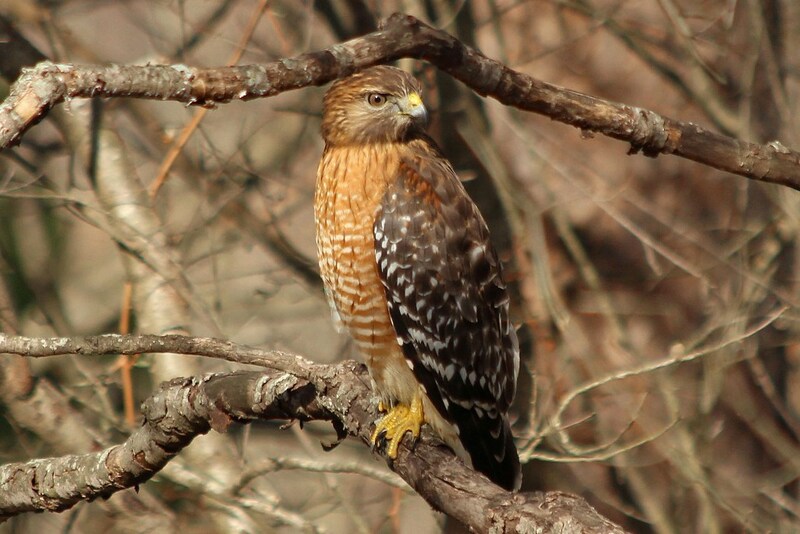 Beautiful birds, especially the red shoulder hawk. Nice shots! I was a lot happier than the birds were that he showed up! Those hawk photos are magnificent! Great shots and love your interesting observations. And you can really see those red shoulders on the RSHA– what great photos! 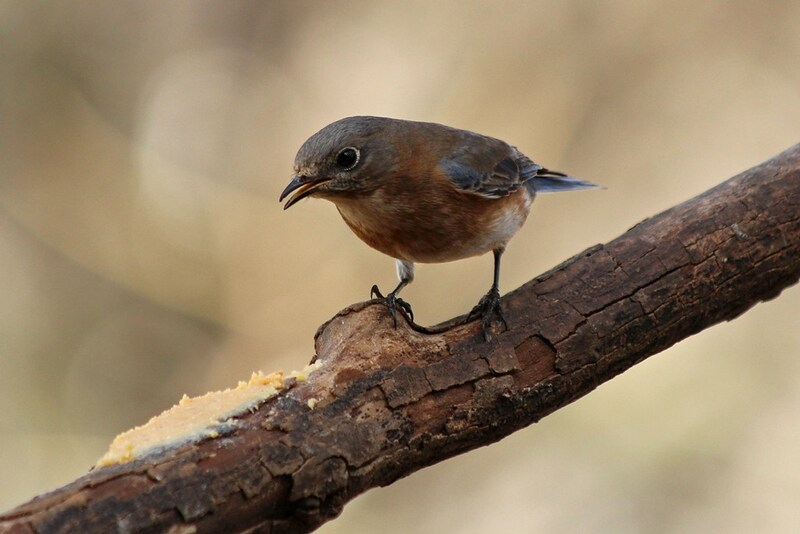 Great photos of some pretty birds! A great photo story, Kathy, and so true as to the pecking order.